A young orphan (Sean Marshall) escapes from his abusive caretaker (Shelley Winters) with his magical pet dragon Elliott (voiced by Charlie Callas) in tow. 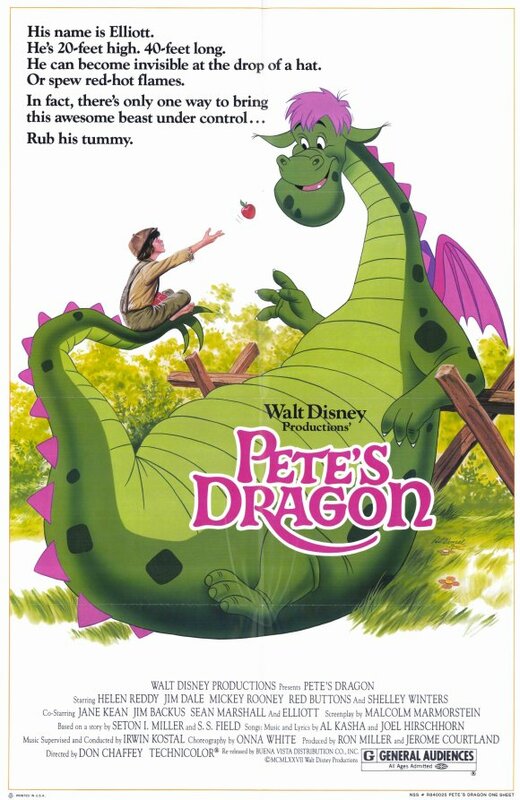 Upon his arrival in the town of Passamaquoddy, Pete (Marshall) meets up with a tippling lighthouse keeper (Mickey Rooney) and his grown daughter Nora (Helen Reddy), who provide him with shelter; meanwhile, a traveling elixir salesman Dr. Terminus (Jim Dale) and his assistant (Red Buttons) find out about Pete’s dragon, and try to purchase him for their own nefarious purposes. This disappointing live action/animation flick fails to live up to Disney’s previous successes in the genre. Technically, it’s sloppy: Elliott’s interactions with Pete never seem realistic (Sean Marshall’s sight lines are off just enough to make it look like he’s talking to the sky), and Elliott’s presence on-screen is inconsistent: sometimes he takes up corporeal space and causes invisible havoc, while at others he’s treated like a vaporous ghost. He’s inexplicably absent from the screen for most of the film, but isn’t very charismatic even when he does show up. His childish babbling is annoying, and — rather than being a helpful friend — all he does is get Pete into trouble; he’s like a less intelligent, green iteration of Barney. Fortunately, the live actors try their best with the tepid material they’re given. 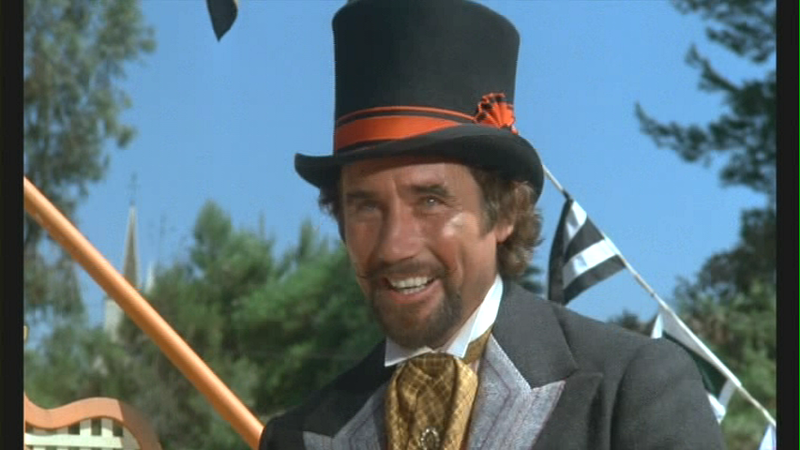 Helen Reddy is fine as the warm-hearted Nora, and Jim Dale is great fun as Dr. Terminus; his is the best performance in the film by far. Fearless Shelley Winters — looking like the ultimate greasy hillbilly — should have been given more screen time; instead, her character simply shows up at the very beginning and very end of the already over-long (2 hours-plus) film. 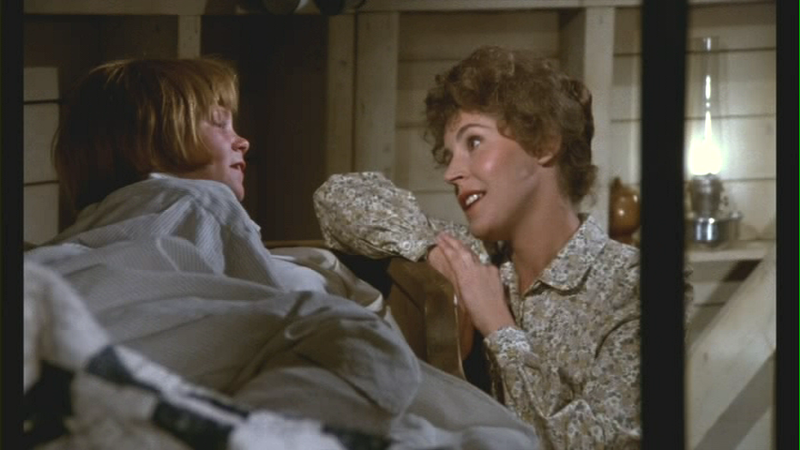 Sean Marshall as Pete is enthusiastic and smiles a lot, but isn’t the greatest of child actors, while both Mickey Rooney and Red Buttons have done much better work elsewhere. 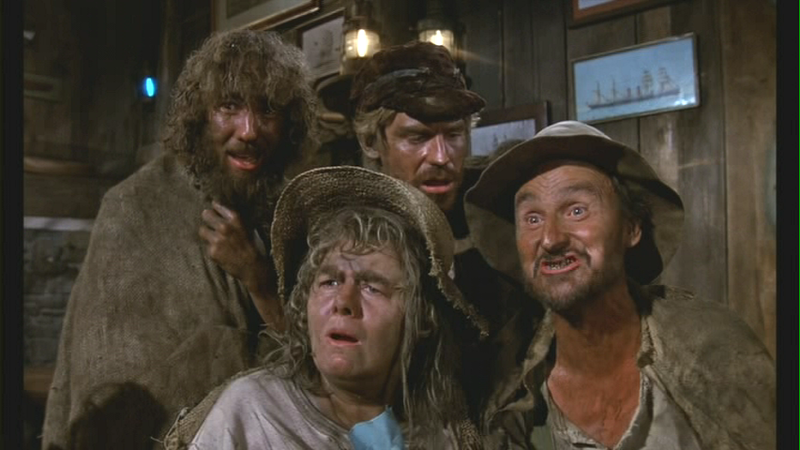 The songs are relatively catchy but forgettable, and simply drag out the story (the one exception is Jim Dale’s scene-stealing, early rendition of “Passamashloddy”). Ultimately, Pete’s Dragon will only be of interest to those who have fond memories of watching it as kids; it’s certainly not must-see viewing. No; it’s not clear to me why Peary lists this disappointing flick in his book.